Alibaba Group has launched the first eWTP hub outside of China. The milestone event follows Alibaba’s partnership announcement with the Malaysian Digital Economy Corporation (MDEC) in March this year, to work jointly to enable Malaysian small and medium-sized enterprises to benefit from global trade. In future, more eHubs will create the global network necessary to facilitate trade for small and medium enterprises around the world. 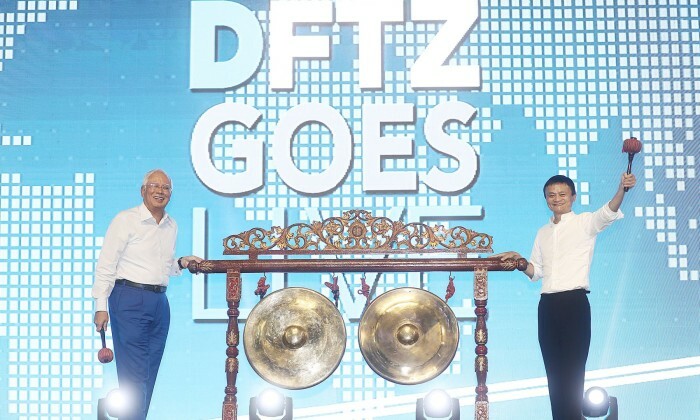 The Electronic World Trade Platform, or eWTP, forms part of the Digital Free Trade Zone (DFTZ) spearheaded by MDEC. The eWTP hub offers Malaysian SMEs the infrastructure for doing commerce with services encompassing ecommerce, logistics, cloud computing, mobile payment and talent training. The vision for eWTP is to lower trade barriers and provide more equitable access to markets for SMEs around the world, with private sector and governments working together. The eWTP initiative was accepted as a major policy recommendation of the Business 20 (B20) and officially included in the 2016 G20 Leaders’ Communique. The various initiatives under eWTP include the launch of a Malaysia Pavilion on Alibaba.com to help promote quality Malaysian products to global buyers. A one-stop solution platform has been set up with an emphasis on providing export facilitation support to local SMEs, with services ranging from marketing and customs clearance, to streamlined permit application procedures and tax declaration and more. As part of the initiative to support Malaysian SMEs with cloud computing needs, Alibaba Cloud opened a local data centre in Malaysia last week. As the first local public cloud platform in Malaysia, the new center will provide Malaysian enterprises a local choice to build their businesses and run their applications on a powerful, reliable and secure cloud platform. Under the eWTP, the training of local talent is a core focus to ensure a sustainable ecosystem. Over 1,000 students from various Malaysian universities have participated in a range of B2B ecommerce curriculum and almost 140 faculty members have completed the Train the Trainers program with the expectation that this continues and the talent pool grows significantly. Can local telcos afford to raise the price on UEFA matches? With TV viewership already dwindling, can the local telcos really afford to price their packages so high?.. F1 fever continues, Magnaglobal hires plus more. ..